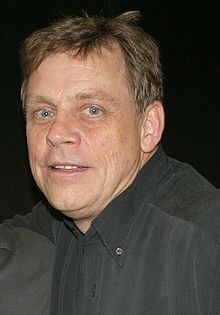 My reaction to the news that Mark Hamill will be hosting the San Francisco Symphony pops concert was disbelief. No, it can’t be, that’s impossible! But it’s true. The actor known best for his role as Luke Skywalker in the Star Wars saga will present the afternoon of “Music at the Movies” on Sunday, Aug. 4 at 4pm at the Green Music Center. Tickets are $25 to $100. My editor told me the news, and at first it was hard to believe. But when he lifted me out of my chair from across the room by simply raising his hand in a choking motion, saying in a disappointed tone, ”I find your lack of faith disturbing,” I quickly changed my tune. Hamill will try to help the symphony to stay on target through pieces by John Williams, Danny Elfman and others. No, he will do it, because there is no try. Shut up, Grizzle, my editor says. Fine, I tell him, this is boring conversation anyway. But will Hamill be conducting a piece? If he takes the stage, the audience might get a very bad feeling about this. But it might all be a clever rouse to cover up the real conductor, Sarah Hicks, who has served as Principal Conductor of Pops and Specials Presentations with the Minnesota Orchestra since 2009. Those 16th notes, too accurate for Hamill, one might think. Only imperial conductors are so precise. Don’t get stressed on the way to the concert—if some big galoot in a tree crushing SUV cuts you off in the parking lot, just let the wookie win. And dress nicely—you don’t want to be called a scruffy-looking nerf herder, do you? But don’t get cocky. And as always, may the Force be with you.